Our work in computer games and hypermedia is focused on exploring and understanding the subtle human aspects of these new forms of media. We are especially interested in narrative, persuasion, engagement, and hedonic factors. We are using research techniques from both Science and the Humanities, including for example ideas from usability evaluation, psychology, and software design, and ideas from critical theory, semiotics, and narratology. Our research work involves both an analytical perspective and a design perspective, and while some of our projects focus on understanding existing games and hypermedia works, other projects focus on creating new exploratory work ourselves. Our most recent work has been on collaborative games on multi-touch tabletop displays, and on locative games for mobile devices. Our group is multi-discplinary, and our members have diverse backgrounds in a number of relevant fields, including Psychology, Computer Science, Literary Studies, Drama, and Communications. Dr. Brian Greenspan, Professor in the English Department, and the Institute for Comparative Studies in Language, Art and Culture, Director of the Carleton Hyperlab. Matthew Duignan, James Noble, and Robert Biddle. Abstraction and Activity in Computer Mediated Music Production, Computer Music Journal, MIT Press, Volume 34, 2010.
International Conference on Kansei Engineering and Emotion Research, IEEE, Paris, 2010. Minh Q. Tran and Robert Biddle. An ethnographic study of collaboration in a game development team. Loading, 3(5), 2009. Papyrus, Cambridge, Massachusetts, 2009. MIT. for collectivist persuasion. ACM Transactions on Graphics, SIGGRAPH09, 2009. Gaming, To Appear:16 pages, 2009. Academic Conference on the Future of Game Design and Technology, Toronto, Canada, 2008. ACM. Dormann, C., Biddle, R. (2008) Understanding Game Design for Affective Learning . International Academic Conference on the Future of Game Design and Technology. Toronto, Canada: ACM. Tran, M.Q., Biddle, R. (2008) Collaboration in Serious Game Development: A Case Study. International Academic Conference on the Future of Game Design and Technology. Toronto, Canada: ACM. Forget, A., Chiasson, S., Biddle, R. (2008) Lessons from Brain Age on Password Memorability. International Academic Conference on the Future of Game Design and Technology. Toronto, Canada: ACM. Hadziomerovic, A., & Biddle, R. (2007). Repurposing a computer role playing game for engaging learning. Proceedings of Ed-Media: World Conference on Educational Multimedia, Hypermedia, and Telecommunications (To Appear). Vancouver, Canada: Association for the Advancement of Computing in Education. Rilla Khaled, Pippin Barr, Robert Biddle, Fine Tuning the Persuasion in Persuasive Games, 2nd Conference of Persuasive Technology, Stanford University, 2007. Claire Dormann, Pippin Barr, and Robert Biddle. Humour theory and videogames: Laughter in the slaughter. In ACM SIGGRAPH Videogame Symposium, Boston, Massachusetts, 2006. ACM. Pippin Barr, Rilla Khaled, James Noble, and Robert Biddle. Get out of my way! exploring obstruction in popular video games. In International Academic Conference on the Future of Game Design and Technology, London, Ontario, 2006. Aidia Hadziomerovic and Robert Biddle. Tracking engagement in a role play game. In International Academic Conference on the Future of Game Design and Technology, London, Ontario, 2006. Pippin Barr, James Noble, and Robert Biddle. Videogame values: Human-computer interaction and games. Interacting with Computers, 19(2), 180-195, 2006. Rilla Khaled, Pippin Barr, Ronald Fischer, Robert Biddle, and James Noble. 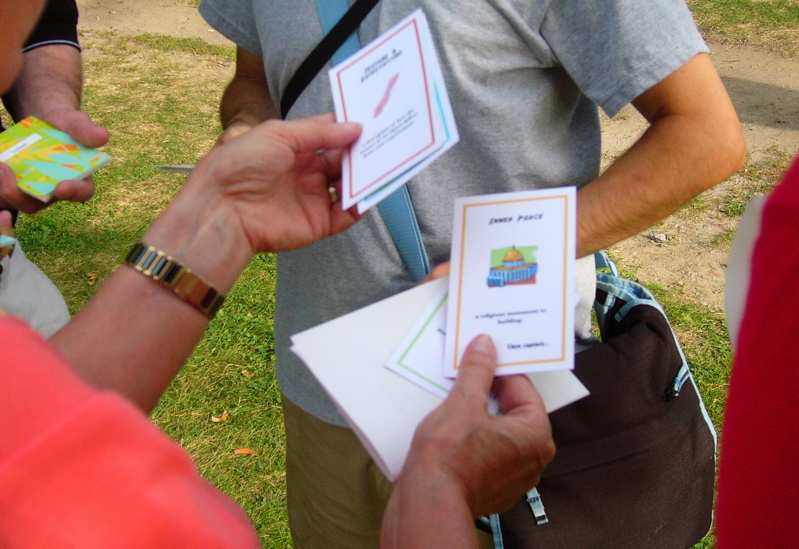 Factoring culture into the design of a persuasive game. In Australian Computer-Human Interaction Conference, Sydney, Australia, 2006. ACM. Pippin Barr, Judy Brown, Robert Biddle, Rilla Khaled, and James Noble. Changing the virtual self: The avatar transformation activity in popular games. In Joint International Conference on CyberGames and Interactive Entertainment, Perth, Australia, 2006. ACM. Claire Dormann and Robert Biddle. Semiotics of humour in hedonic e-commerce. In International Conference on Organisational Semiotics, Saõ Paulo, Brazil, 2006. INSTICC Press. Claire Dormann and Robert Biddle. Humour in game-based learning. 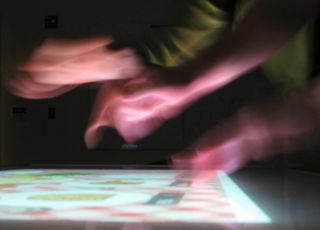 Learning, Media, and Technology, To Appear, 2006. Pippin Barr, Rilla Khaled, James Noble, and Robert Biddle. Well-being to well done! : The development cycle in role-playing games. In First International Conference on Persuasive Technology for Human Well-Being (Persuasive06). LNCS 3962, Springer Verlag, 2006. Pippin Barr, Rilla Khaled, James Noble, and Robert Biddle. Feeling strangely fine: The well-being economy in popular games. In First International Conference on Persuasive Technology for Human Well-Being (Persuasive06). LNCS 3962, Springer Verlag, 2006. Rilla Khaled, Pippin Barr, James Noble, and Robert Biddle. Our place or mine? : Exploration into collectivism-focused persuasive technology design. In First International Conference on Persuasive Technology for Human Well-Being (Persuasive06). LNCS 3962, Springer Verlag, 2006. Rilla Khaled, Pippin Barr, James Noble, and Robert Biddle. Investigating social software as persuasive technology. In First International Conference on Persuasive Technology for Human Well-Being (Persuasive06). LNCS 3962, Springer Verlag, 2006. Rilla Khaled, Robert Biddle, James Noble, Pippin Barr, and Ronald Fischer. Persuasive interaction for collectivist cultures. In Wayne Piekarski, editor, Seventh Australasian User Interface Conference (AUIC2006), volume 50 of CRPIT, pages 73-80, Hobart, Australia, 2006. ACS. Pippin Barr, James Noble, Robert Biddle, and Rilla Khaled. From pushing buttons to play and progress: Value and interaction in fable. In Wayne Piekarski, editor, Seventh Australasian User Interface Conference (AUIC2006), volume 50 of CRPIT, pages 61-68, Hobart, Australia, 2006. ACS. Brian Greenspan, Claire Dormann, Chris Eaket, Sebastien Cacquard, and Robert Biddle. Live hypernarrative and cybercartography: You are here, now. Cartographica, 41(1), 2006. Claire Dormann, Birgit Woods, Sebastien Cacquard, and Robert Biddle. Cybercartography as a role playing game: From multiple perspectives to critical thinking. Cartographica, 41(1), 2006. Elizabeth Whitworth and Robert Biddle. Share and enjoy! patterns for successful knowledge sharing in large online communities. In To appear in the Proceedings of the European Conference for Pattern Languages of Programming, Irsee, Germany, 2005. Hillside Group. Rilla Khaled, James Noble, and Robert Biddle. An analysis of persuasive technology tool strategies. In International Workshop on Internationalization of Products and Systems (IWIPS), pages 167-173, Amsterdam, 2005. Product Systems Internationalisation, Inc.
Pippin Barr, James Noble, Sky Marsen, and Robert Biddle. Oppositional play: Gathering negative evidence for computer game values. In Australasian Conference on Interactive Entertainment (IE2005), Sydney Australia, 2005. ACM SIGCHI. Sky Marsen, James Noble, and Robert Biddle. Toward a comparative semiotic analysis of use cases. In Proceedings of the Technical Communication Conference (STC 2005), Seattle, 2005. Society for Technical Communication. Jennifer Ferreira, James Noble, and Robert Biddle. Semiotics of usage-centered design. In Rene Jorna, Pierre-Jean Charrel, Daniel Galarreta, and Peter Andersen, editors, International Workshop on Organisational Semiotics, Toulouse, France, 2005. Claire Dormann, Jean-Pierre Fiset, Sebastien Caquard, Birgit Woods, Aida Hadziomerovic, Elizabeth Whitworth, Amos Hayes, and Robert Biddle. Repurposing a computer role playing game for engaging learning. In Proceedings of Ed-Media: World Conference on Educational Multimedia, Hypermedia, and Telecommunications, pages 4430-4435, Montreal, Canada, 2005. Association for the Advancement of Computing in Education. Claire Dormann, Jean-Pierre Fiset, Sebastien Caquard, Birgit Woods, Aida Hadziomerovic, Elizabeth Whitworth, Amos Hayes, and Robert Biddle. Computer games as homework: How to delight and instruct. In Home Oriented Informatics and Telematics Conference, University of York, Heslington, United Kingdom, 2005. IFIP W.G. 9.3.